Microsoft and GE are joining forces to useÂ cloud technologies in industrial production. GE will bring its Predix industrial data-gathering operating system to Microsoft’s Azure cloud computing platform, theÂ two companies announced Monday at theÂ Microsoft Worldwide Partner Conference in Toronto. Connecting with Azure brings new features including artificial intelligence andÂ natural language technology toÂ GE’s Predix platform.Â Â “Connecting industrial machines to the internet through the cloud is a huge step toward simplifying business processes and reimagining how work gets done,” GE CEO Jeff Immelt said in a statement. 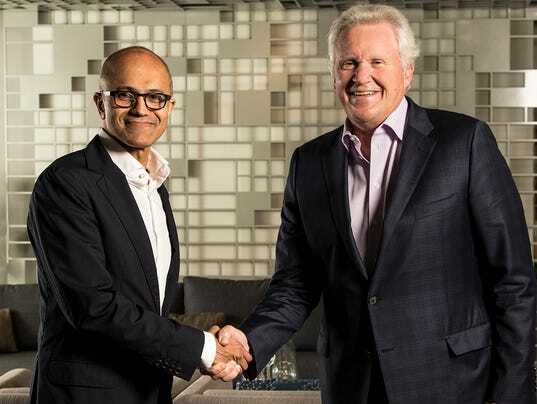 As part of the partnership,Â GE and Microsoft plan to integrate Predix with Azure’s Internet of Things and Microsoft’sÂ Cortana artificial intelligence platforms, as well as Office 365 and other Microsoft business applications. Shares of GE (GE) hit a 52-week high of $32.50Â before closing Monday at $32.21,Â up 0.03% for the day. Shares are up more than 32% over the past 12 months. Â Microsoft (MSFT) shares closed at $52.59, up 0.55%. GE launched its digital industrial data analyticsÂ platform first on Amazon Web Services three years ago. Three months ago, GE and Oracle announced a deal integrating GE’s Predix into Oracle’s cloud platform andÂ enterprise software products.